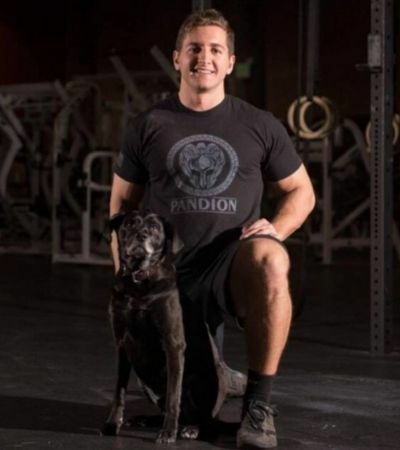 The CEO and Head Coach at WODprep, Ben is passionate about helping fitness athletes of all abilities get their competitive edge and learn new skills! A previous regionals athlete, gym owner and L-2 coach, he's now living in Japan with his wife. Whenever possible the two love to travel and explore new places around the world (and meet new WODprep athletes). They will be moving to Boulder, CO this spring, and are looking forward to introducing their snowboards to the Rocky Mountains. Director of Growth and Chief Editor of the WODprep blog, Kait has been a CrossFit fanatic for almost five years. Now residing in Annapolis, MD with her husband and two huskies, she had the opportunity to get her L-1 in Athens, Greece, during her time living overseas in Israel. She’s a lover of all-things fitness, a frequent runner and loves a good country music concert. Sho is a L-1 Trainer at CrossFit Stewarton, graphic designer and mom of two. She's participated in several CrossFit® competitions and has more recently focused her training on Olympic Weightlifting, competing at a Scottish level as a 55kg lifter. A long-time team member, Sho is responsible for WODprep’s product development, as well as the creator behind all of our awesome stick figure drawings. A WODprep Coach, Masters athlete, father of three and Coach at West London CrossFit in Canada. Brent is currently embracing the ‘long slow road’ with his Olympic Lifting. WODPrep Coach, L-2 CrossFit and USAW L1 Trainer at Outsiders CrossFit in Sparks, MD - Colette resides in Maryland with her devastatingly handsome husband, super cute offspring, doting Husky, and her ornery cat. Resident Physical Therapist who answers all pain-related questions. Dr DePalma owns his own Clinic “The Movement Dr”, and is a WODprep Coach, L-1 Trainer, Certified Strength and Conditioning Specialist (CSCS), and USAW-L1 Trainer. to be an effective programmer/coach for injured and non-injured athletes, and engaging in social media discussions on injury/pain (guilty pleasure). He is supported by his beautiful wife, Paryn, who makes sure CrossFit and Rehab/Fitness are not the only thing he does. Garry is your man. Coach Garry has been a private Personal Trainer for more than 5 years, during which time he has held the titles Strength and Conditioning Coach, Personal Trainer, and Fitness Specialist. With an undergraduate degree in Exercise Science, he specializes in human movement efficiency and injury prevention. Through different mobility and stability techniques, he teaches clients how to maximize their efficiency while performing at high levels of intensity. He helps WODprep athletes improve their biomechanics for their specific needs, whether that be for a movement, to have their body feel better, or improve their flexibility. Jesse got his start coaching at the age of 12 at his father’s martial arts dojo. Now, he is a true fitness nerd. Programming is his trade. It is his purpose to assess, plan and implement programs that direct achievement through fitness and in doing so encourage success in all areas of life. He brings this passion to WODprep, his Remote Coaching Service (The Academy), his affiliate, and the Canadian Functional Fitness Federation. Andrea is the WODprep Customer Happiness Specialist all the way from Costa Rica. She takes care of customer needs over email or Facebook, so if you have any questions or concerns about anything related to WODprep, she’ll be there to help. She’s in love with CrossFit and loves to travel, and enjoys good coffee, ice cream, and gooey cookies! Her favorite CrossFit girl is Cindy and least favorite is Nancy. The video editor for WODprep, Juan has been doing Crossfit for 4 years. It became his passion from day one; he loves that it’s never the same, and always brings about new challenges. By day he’s a graphic designer and a citizen of the world. A web developer and handler of all-things technical for the WODprep website so that it stays up and running smoothly. Kaila is from the Philippines but often out of the country for few months, traveling with her small family of three. Although she’s not a gym lover, she enjoys hiking with her son. They’ve been to countless mountains together, and it’s her dream to go to the Himalayan Mountains, even just to the base camp of Mt. Everest and Annapurna. Another member of the WODprep team who’s well-versed on many topics, Sunny tries to balance out an unhealthy social media addiction (mainly IG & YT) during the day by reading self-improvement books in the morning and biographies of the world's most successful before bed. He’s a consistent writer and contributor to the WODprep blog, and manages the retail division.